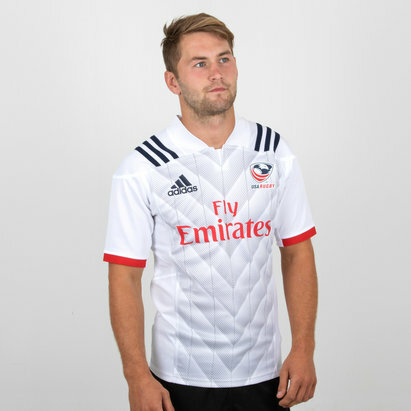 Perfectly executed with a traditional Eagle feel yet with modern style, if you support the International 7's team don't miss out on this USA Eagles 7's 2018 Home Replica S/S Rugby Shirt. 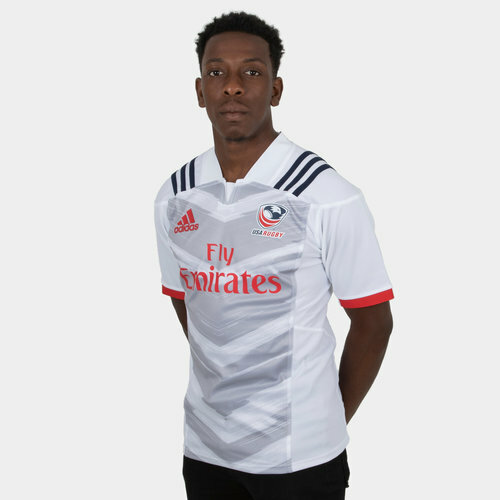 Made by adidas and designed for the USA Eagles 7's for the 2018 season, traditionally designed with the white colourway taking elements from the team badge for a fan-pleasing, classic look. Although a modern twist is introduced through the chevron pattern on the front and the adidas stripes over the shoulders.